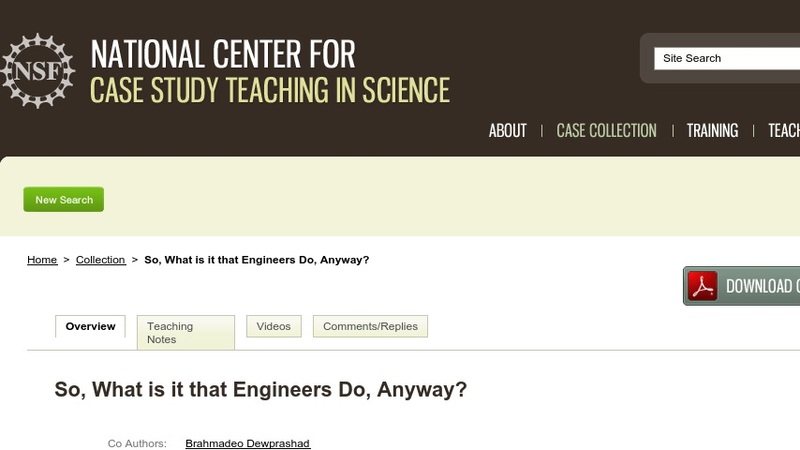 So, What is it that Engineers Do, Anyway? In this case study, new engineering students are introduced to the discipline of engineering by illustrating the roles of various types of engineers in a large engineering project, the intelligent transportation system, that has the potential to impact many aspects of society. This case is designed to be used in a freshman introduction to engineering course, in which students are typically introduced to a variety of concepts across engineering disciplines.